A couple of weeks ago, Xiaomi India teased to launch the 48MP camera Redmi Note 7. On Monday, the company teased that the company is bringing a smart shoe to India very soon. Rumours suggest that this Xiaomi smart shoe could be the Mi Sneakers 2. There are high possibilities that Xiaomi India could launch the smart shoe alongside the Redmi Note 7. Xiaomi is more than just a smartphone brand. The company sells Mi TVs, Mi Bands, Mi Air mask, Mi Pen, Mi Scale, among other things. With the smart shoe, the company aims to expand its product lineup. This is for the first time that Xiaomi is bringing a smart shoe to India. To recollect, Xiaomi launched its first-generation smart show aka Mi Smart Sneakers under the Mijia brand in China back in the year 2017. The successor to the Mi Smart Sneaker was launched in China only last year and was called Mijia Sneakers 2. Reports suggest that Xiaomi could bring the Mijia Sneakers 2 to India in the days to come. In India, the smart shoe could be called Mi Sneakers 2. On Monday, Xiaomi India took to Twitter to announce the coming of Mi smart show in the country very soon. The announcement post noted, “Ready to put your best foot forward.” Together with the post, Xiaomi India also attached a picture showing the outline of the shoe coming to India very soon. 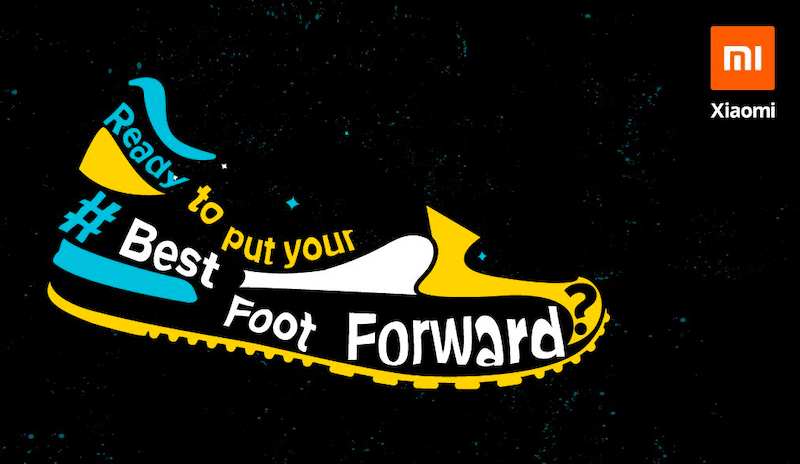 To promote the Mi smart shoe, the company is using #BFF which turns out to be the “best foot forward”. Xiaomi India is yet to reveal the launch date of the Mi smart shoe, but we believe that it could launch alongside the Redmi Note 7 in the next few weeks. It is on the launch date that Xiaomi will confirm the price and availability of the smart shoe in India. Xiaomi launched its first smart shoe in its home market and with that, it created a buzz in the industry. The first Mi smart shoe that was launched in China comes under the Mijia brand. The smart shoe by Xiaomi under the Mijia brand comes packed with an Intel Curie chip to process user’s fitness data while he/she is on-the-move like walking, running or doing any other activity. The first Mi smart shoe was launched in China for CNY 299 which roughly translates to Rs 3,200 in India. The final retail price of the Mi smart shoe in India is yet to be revealed. But considering Xiaomi believes in honest pricing we can expect the smart shoe to be aggressively priced compared to its competitors like Nike.